1 What is Lymphocytic Colitis? Lymphocytic colitis is a rare disorder that is characterized by chronic episodes of non-bloody watery diarrhea. It is a subtype of an inflammatory bowel disease known as microscopic colitis, the other being collagenous colitis. In this condition, colonoscopy reveals normal features. 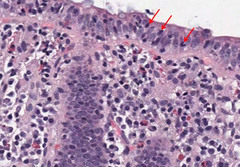 However, mucosal biopsy shows accumulation of lymphocytes within colonic epithelium and lamina propria connective tissue. People who are diagnosed with lymphocytic colitis mostly fall within the age group of 60 to 80 years. Women are slightly more inclined to develop this disease than men. Long-term usage of drugs such as NSAIDs, antidepressants like Sertraline (Zoloft) as well as other medications. Viruses, which can trigger inflammations. Increased number of plasma cells, lymphocytes, mast cells and eosinophils are found in the colon’s lamina propria. Increased number of intraepithelial lymphocytes is found in the surface epithelium between the crypts. Although the normal range is between 5 and 100, the number of epithelial cells may be greater than 20 to 100. The mucosa that overlies the lymphoid nodules should be excluded during evaluation. The condition may involve crypts as well. A rare form of cryptal variant has also been described by the experts. Increased number of intraepithelial lymphocytes can be seen only in crypts and not on the surface epithelium. Surface mucosa is typically flattened with depleted mucin. Focal detachment can be observed with no overt ulceration. In around 38% of cases, occasional neutrophils can be found up to cryptitis. Common features include infrequent focal prominence with crypt abscesses with absence of inflammatory bowel disease and infection. Multinucleated giant cells that are located just below surface epithelial layer can be seen in some rare cases. No significant amount of crypt distortion is noticed. Mild crypt irregularity can be seen in around 4% of cases. Crypt distortion might be variably distributed within the colon. However, a single general biopsy does not rule out the disorder. Absence of any thickened layers of subepithelial collagen. There may be involvement of terminal ileum due to intramucosal lymphocytosis. Generally, normal levels are reported that shows 2 to 8 T cells or 100 enterocytes. When trying to determine if an individual has lymphocytic colitis, the doctor will first evaluate the complete medical history of the patient and conduct a thorough physical examination. He will then ask questions regarding any medications that the patient might be taking, such as ibuprofen and aspirin, which may increase the risks of developing this disorder. Among the tests conducted to confirm the diagnosis is a stool sample test, which might help to rule out the possibility of infection as a cause of persistent diarrhea. Blood tests are carried out to test for other abnormalities that may indicate lymphocytic colitis. Biopsies are performed from different areas of the patient’s colon during a colonoscopy or a sigmoidoscopy which may reveal abnormalities in the colon lining such as patchy distributions. Multiple biopsies are required to be taken from various regions of colon so that an accurate diagnosis can be made. The patchy appearance of the disorder is also the reason why Flexible sigmoidoscopy is often inadequate in the diagnosis of this condition as the abnormalities might not be detected in sigmoid colon in around 30%-40% of cases. This deficit is rectified by colonoscopy which allows the doctor to obtain biopsies of the other regions that are inaccessible by sigmoidoscopy. The medications that help in controlling diarrhea include bismuth subsalicylate (Pepto-Bismol), loperamide (Imodium A-D), as well as combination of atropine and diphenoxylate (Lomotil). These help in reducing inflammations. A corticosteroid drug like budesonide or prednisone can control inflammations of the colon. 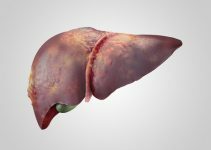 Cholestyramine can absorb bile acids and reduce the diarrhetic symptoms. Medications like mesalamine (Pentasa, Asacol) and sulfasalazine (Azulfidine) can help to control colon inflammations. These aid in reducing colon inflammation and include medications like azathioprine (Imuran, Azasan) and methotrexate (Rheumatrex). If the symptoms of the disorder progress to a severe stage and medications are not effective enough, a doctor might recommend Colectomy – a surgical procedure in which all or a part of the colon is removed. Surgeries are rare for these disorders and should be opted for only when all other treatment methods have been tried out. Low fiber foods like rice, mashed banana and potatoes are best to cure the symptoms of the colon. Although high fiber foods such as legumes, bran, oatmeal and barley are perfectly nutritious, they should be avoided when the colon is vulnerable. These foods may however be gradually added to the diet as there are noticeable changes in the condition of the colon and symptoms such as acidity, gas, diarrhea and abdominal cramps. Sometimes, patients might develop an aversion to dairy products. They might need to go to the restrooms after consuming some yogurt or a small amount of milk. These individuals have lactose intolerance and might develop rashes or severe diarrhea symptoms. Although patients do not always suffer from such lactose intolerance, they should stop consuming all dairy products if they feel they do so. A low-fat diet is best during these times. Excessive amounts of tea or caffeine as well as spicy or too much seasoned or fried foods should be avoided as well. The food items should be somewhat bland with little or no spices. Both freshly cut fruits and fruit juices are great ways to bring comfort to the colon. The daily intake of water should also be increased to at least 2 to 3 liters. This would help remove the toxins from the body. The outcome of the disorder often depends on the severity of the symptoms. Nearly 20% of patients might experience spontaneous remission without any specific treatment. More than 50% of patients undergoing therapy have shown significant signs of improvement with reduced symptoms after only 6 months, whereas 15% of patients demonstrated signs and symptoms that were persistent. The symptoms of diarrhea may come and go over many years in certain patients. However, 80% or more patients have said that their symptoms of diarrhea along with histological abnormalities have resolved within 3 years. The condition does not result in colon cancer. Lymphocytic colitis should be treated with medications and a proper diet plan to obtain optimum results.